With Data Vault data models we sometimes add a metadata column to hubs/links called the 'Last Seen Date'. It represents the last time any source delivered said hub/link record to the Data Vault (again), and is only relevant on processing full loads. It needs to be checked on each load and usually when doing the full loads, will update (almost) all hub and link records (sometimes even has multiple passes as well). An expensive, tricky and performance wise problematic action because for the rest hub/link records should not be altered in any way. IMO, it's the last thing I'd like to see in a Data Vault (That's how you should remember its name ;). The best alternative is using a full blown hub/link status satellite that tracks the status: inserted, deleted for a hub/link (driving key) entry. The problem lies in tracking the 'hard' deletes from a source system information because the 'vanilla' DV with just basic full loads does not address the deletes tracking issues. If we do happen to stumble on source system deletes in this scenario we become non auditable, and only a Last Seen Date might give us an indication that a delete actually occurred. Key Omission: If we assume source systems do deletes and we track them using full key compares between DV and source. This is a basic precaution when doing basic full loads on a DV. (Key) Deletes: We actually get a list of source (record) deletes. This is of course ideal to track deletes, but don't forget to cater for key updates/mutations as well (where possible in the source). (Key) Mutations: A Key mutation is logically just a combination of a key delete and a key insert. If we track all (key) mutations (where allowed/expected), like with a Change Data Capture driven solution we can easily track key deletes generated by key mutations as well, which saves us the work of having to do a full (key) compare. Additionally, we can now also populate a key mutation driven SAME-AS Link. As an alternative we can track the key updates only when we look at the source surrogate key (stored in e.g. a key satellite), given that it is stable. The Last Seen Date is a expensive approximation of handling deletes. IMO the efforts can be better invested in better delete tracking. The Last Seen Date should be seen as a last ditch measure tracking deletes, not a basic metadata for a DV. In software testing we have the boxing approaches to determine how to test our software applications. We test it systems with a certain knowledge of the internal workings of said systems. But also in data management and information system development (for example data warehousing) we develop/manage our data with a certain level of knowledge of the data in our (source) systems. Often the knowledge of these system internals can be used to evaluate our data (management) practices, data/information development (integration, business intelligence) and do some data quality testing on the side as well. How can we see our data (silo's)? As black boxes where data goes in, and (some) information/knowledge comes out through UI screens, documents, reports, lists and user (actions)? As grey boxes, where you have a (reasonable?) amount of understanding of your (technical) data. You know (most of) the technical data structures, their descriptions and direct usage but a lot of knowledge about how your data is treated by the system (detailed process rules and constraints) is either implicit knowledge or not understood at all. As white/glass boxes, where data and processes and interaction are well documented (modeled!) and understood? You can interface, interact with the data in a safe and consistent way understanding all processes and constraints that work on the data. You not only have accurate 'technical' (logical?) 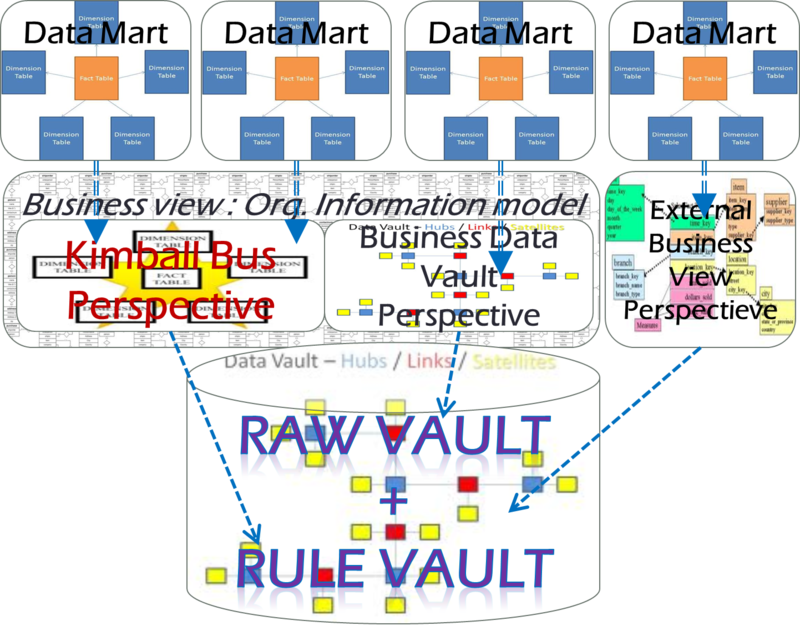 data modeling information including (complex) constraints, but also on the business/semantic level (including business rules and processes) and have a data model schema at the 'logical' level (esp. important when the actual database schema has been 'denormalized' or otherwise mangled beyond recognition). 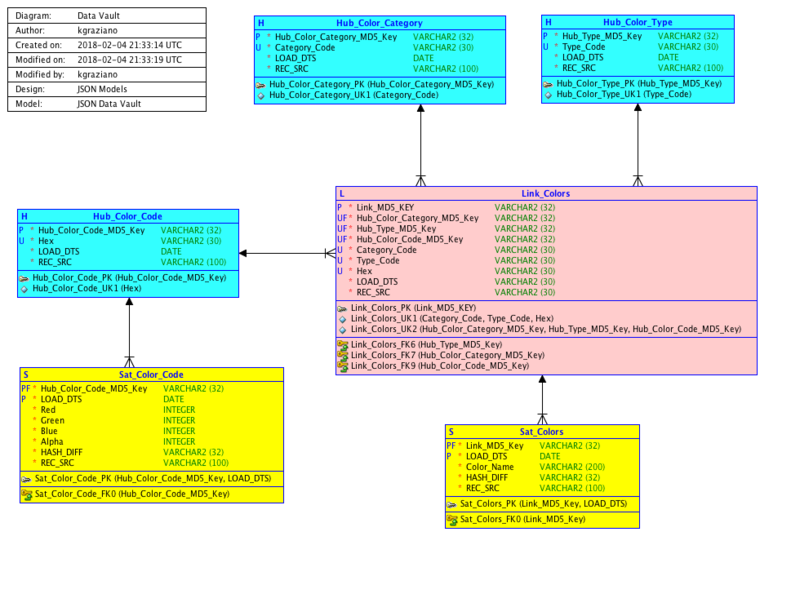 The principle of information hiding is a good practice in data modeling, but when looking at boxing we should understand the current situation with COTS information systems. Preferably we look at an information system through an information/Data interface/layer representing a (logical) data model schema. Interestingly this should be the main function of a database schema even if in reality it is often not the case. 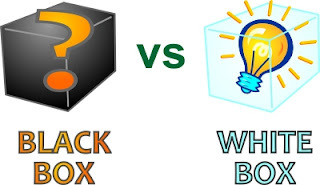 Alas, a COTS is usually technical black box system and is usually poorly abstracted with a functional data layer (ie a data layer that is a logical, accurate, coherent, consistent, constrained and complete representation of the data). So while information hiding is good practice, in current COTS systems there is usually no good (formal) abstraction data/information layer that allows us correct and consistent access to information systems. We are usually stuck with a "black hole" box (where data goes in, but cannot get out easily if at all (save through arbitrary 'extractors', UI, reports or lists). A lot of integration and information initiatives start with unboxing the murky data (models) from the source COTS information systems. 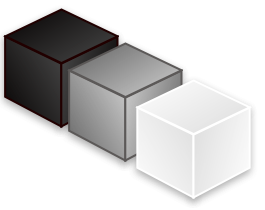 When organizations purchase or design applications usually they see them as black boxes. 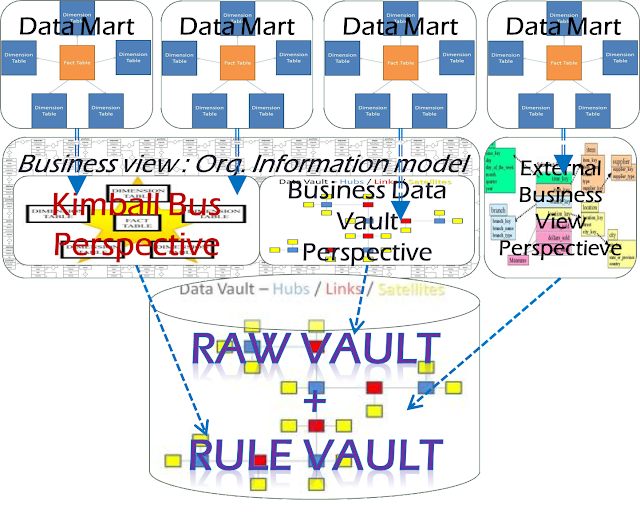 As soon as data integration or BI initiatives are started they start delving into data models and data bases trying to understand the base data. They usually work up to a grey box understanding of their systems using internal data models because external/logical data model schema's, if available at all, are usually proprietary, incorrect, inconsistent or incomplete. From there they start developing their additional data processing (ETL, interfacing). But most organizations who have done this still have serious issues understanding their data because they usually miss things or don't have all the knowledge together and integrated. They are usually implicitly trying to white box their information systems, but have no formal way of doing so. Detailed information about these systems is usually scattered in process and database diagrams, application code, knowledge workers, data warehouses or data marts and IT personnel. Unboxing usually stops at some grey box level. 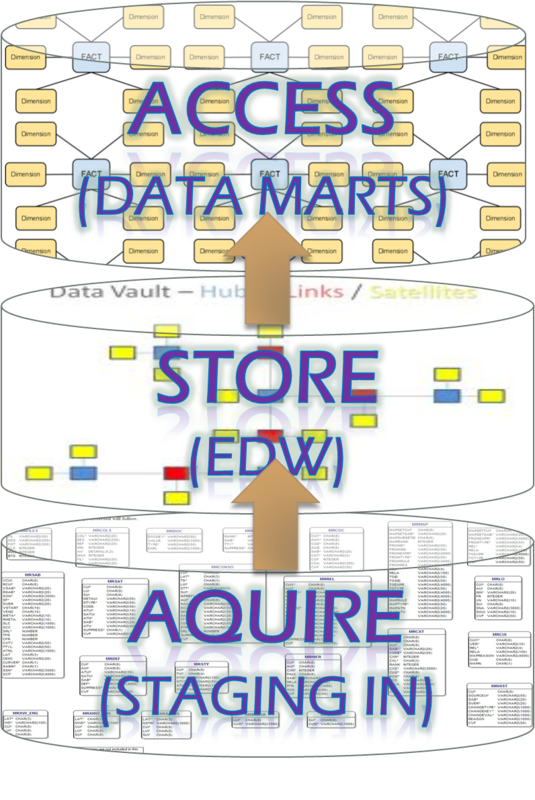 Most (enterprise) data warehouse initiates (esp those talking about a 'single version of the truth') have an explicit or implied goal of constructing a house of glass, a glass box (globe) to see through all the data. They are actually trying to unbox their data to a white/glass box scenario However, they still have the issue of unboxing their OLTP/source systems. The house of glass built on top of murky source system data is actually conjuring up an illusions of control and transparency founded on a marsh of misunderstanding source systems. Instead of focusing on the house of truth they should be focusing on truly trying to unbox their source systems and focus on a house of (source system data) facts. A (logical) EDW housing both the (derived/implied) 'truth's' as well as the source data facts is the only way to construct a true data house of glass. 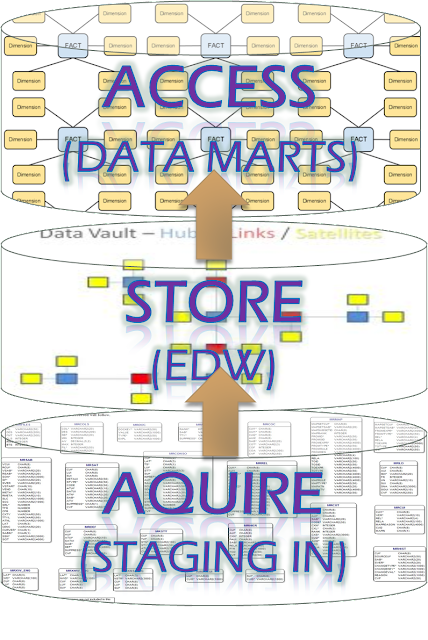 this way an EDW can help you not just with your BI initiatives, but also with unlocking and unboxing your data for other initiatives like Data Quality control, interfacing/integration and data migration.